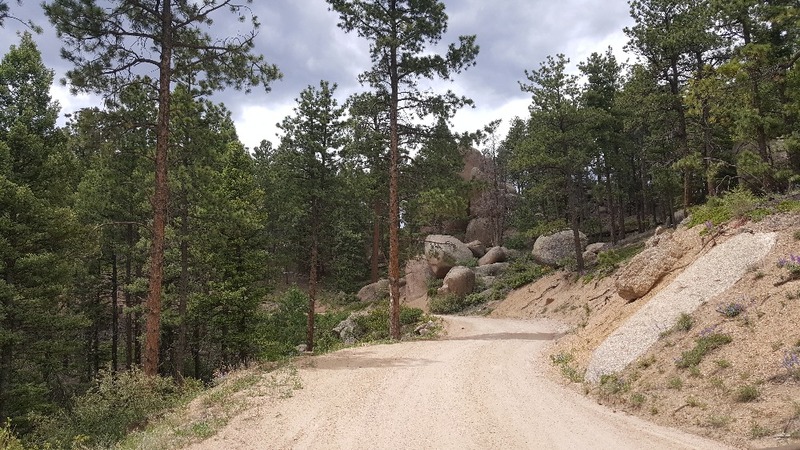 Mount Herman Road provides direct access to Rampart Range Road from the I-25 corridor. 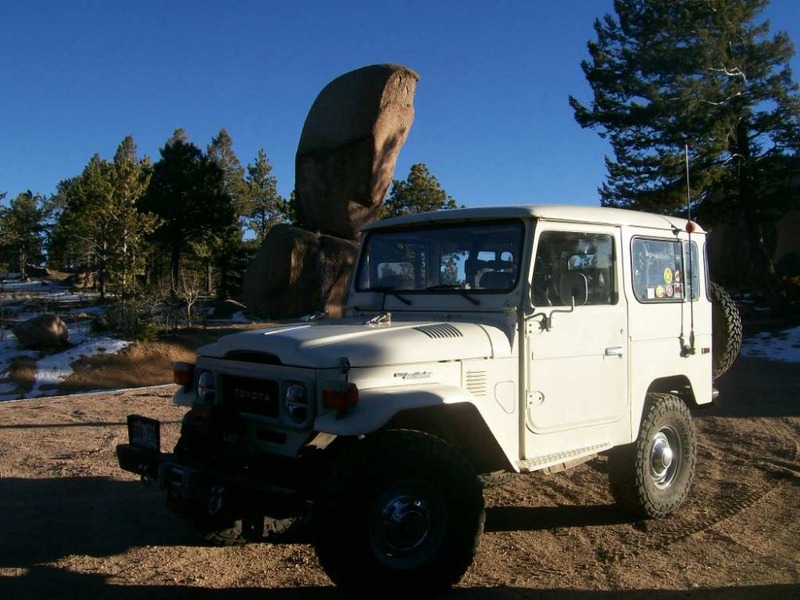 It climbs through the forest amid enormous boulders and precipitous hillsides. 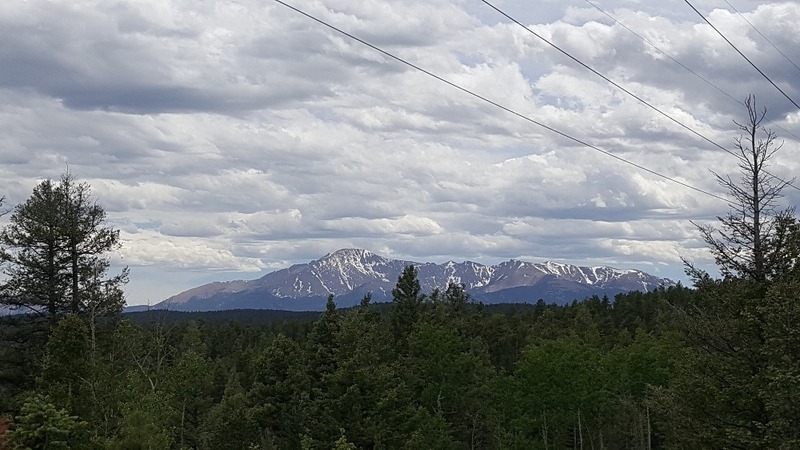 There are spectacular views of Pikes Peak as well as the valley below. 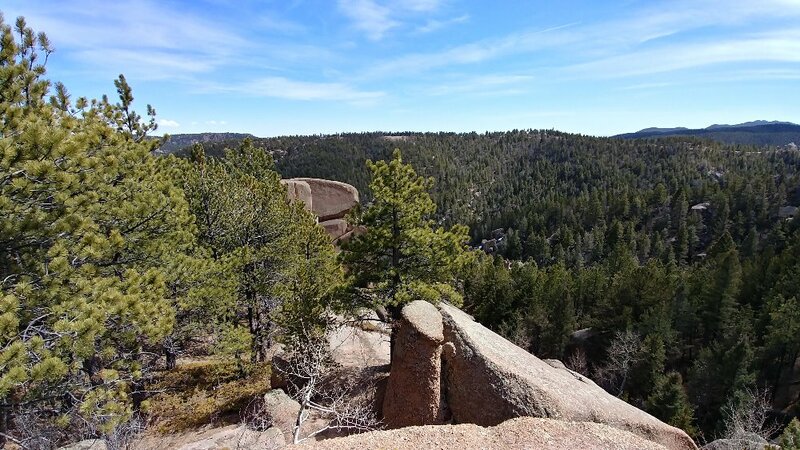 Spend some time at one of the numerous view areas, or hike among the curious rock formations. 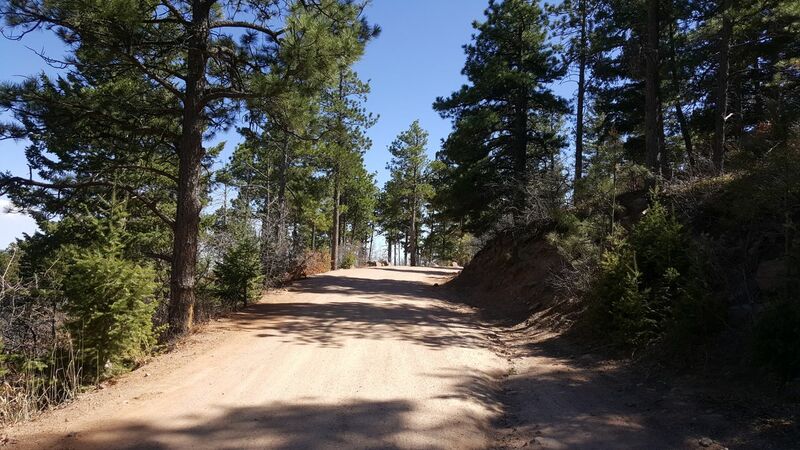 Mt Herman Road is a quick access road to the Rampart Range. 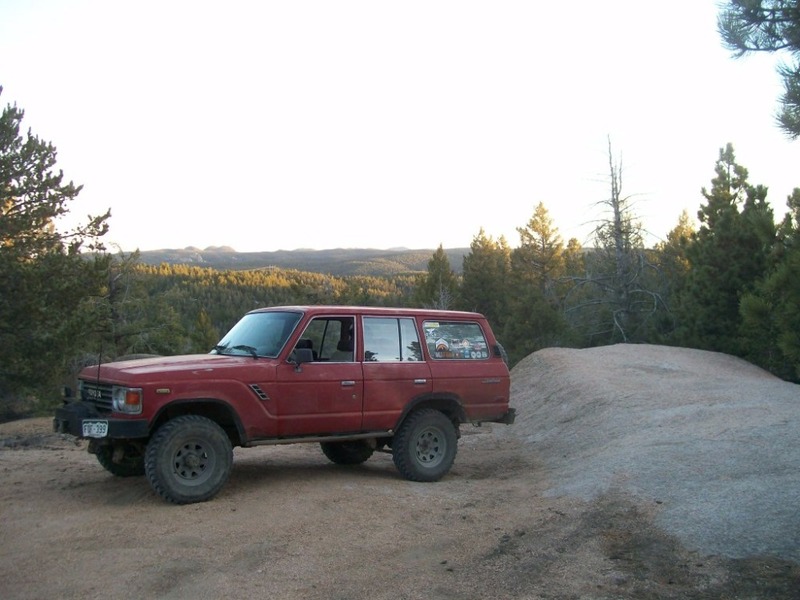 It can be driven in either direction and is suitable for stock 4x4 vehicles. 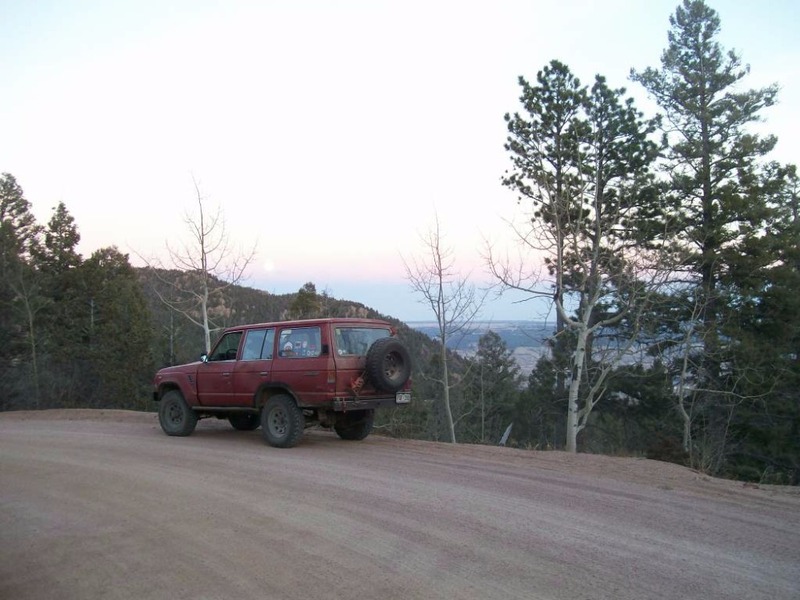 In fact, you will see an equal number of passenger cars as Jeeps/trucks/SUVs. It is generally maintained but does experience ruts and wash-outs during the year. 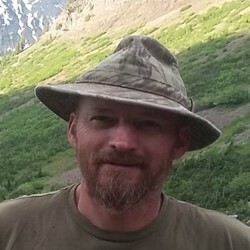 From the trailhead, Mt. Herman Road climbs steadily for approximately 11 miles. The road is narrow at some points and contains numerous blind curves, so use caution when rounding a corner. In most places, the road is sufficiently wide to allow opposing traffic to pass. Numerous blind curves so use caution when approaching! Continue straight at the intersection of Red Rocks Road. 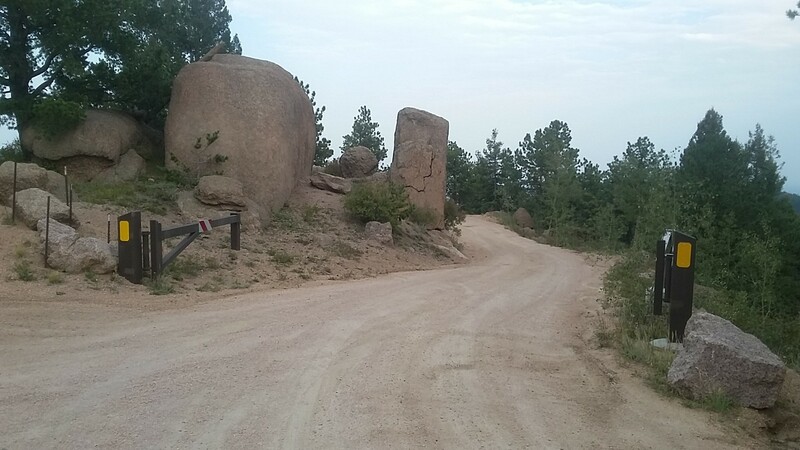 The upper gate marks the end of the ascent--the road is relatively level from here to Rampart Range Road. There is a scenic point and dispersed campsite here. 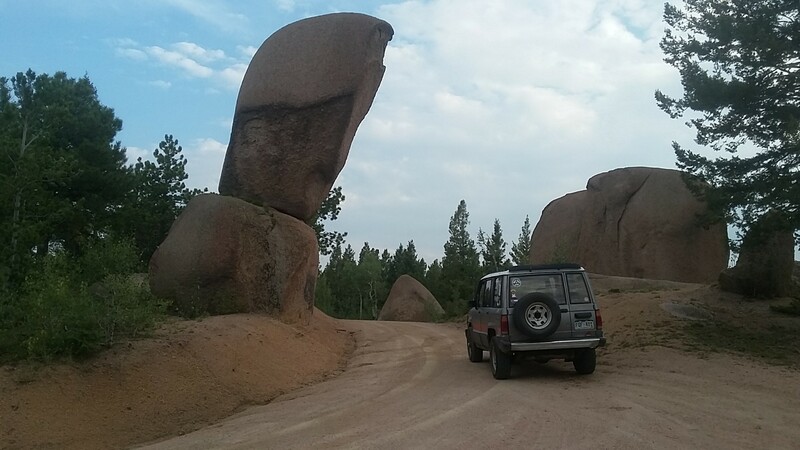 The balanced rock feature here is quite unique. 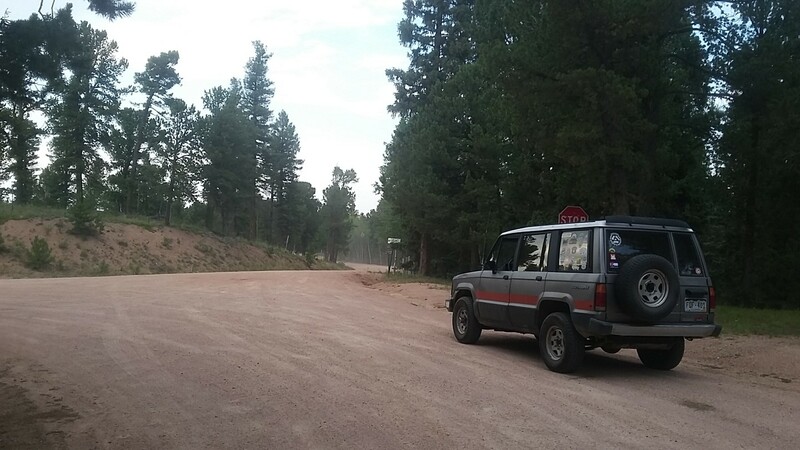 There is a spur road here (320B) and area for parking or dispersed camping. The spur road dead-ends, stay straight to remain on Mount Herman Road. 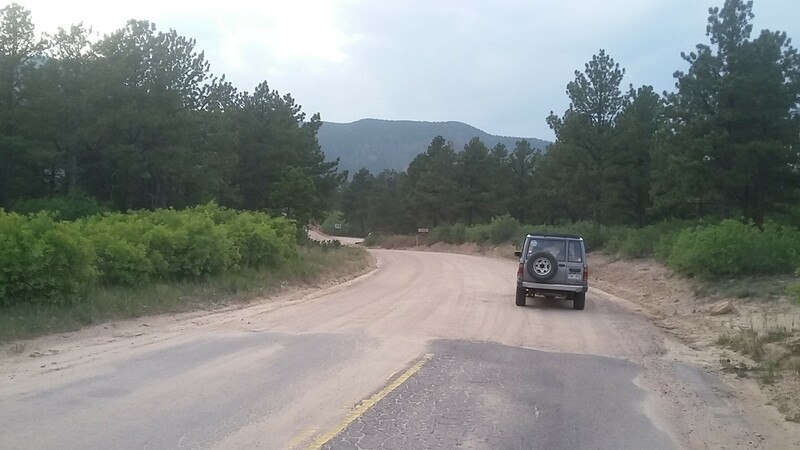 FS Road 315, intersecting on the left (south) side, is a through-road which ends farther south on Mount Herman Road. Continue straight to remain on Mount Herman Road. 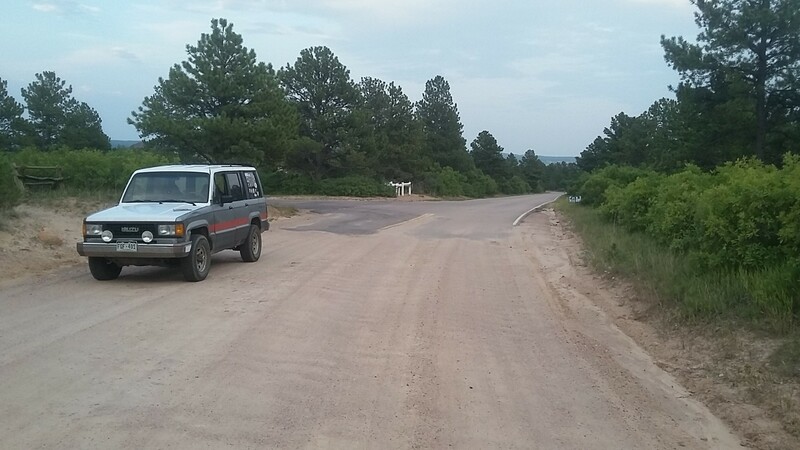 This is the western end of Mount Herman Road where it intersects with FS 300, Rampart Range Road. Turn left (south) to go toward Woodland Park. Turn right (north) to access dozens more 4x4 roads. 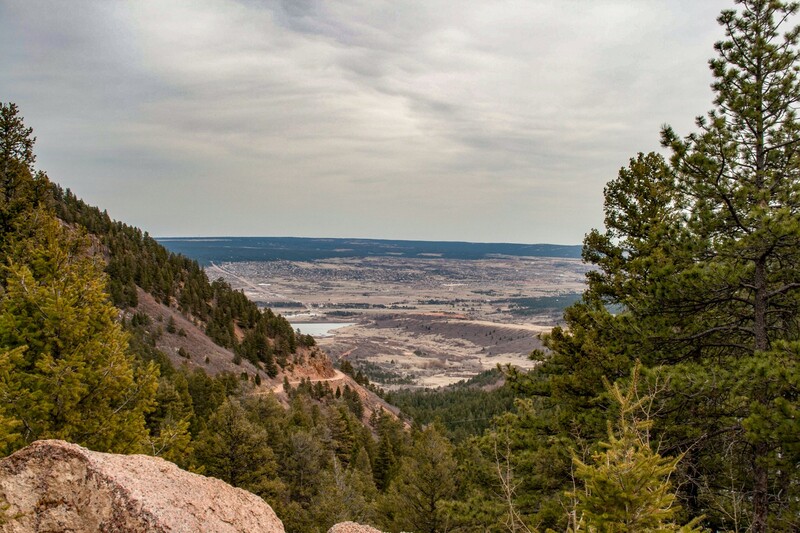 From I-25, take the Monument/Palmer Lake exit, number 161, for Highway 105. Travel west towards the mountains. On the west side of the Interstate overpass, Highway 105 becomes 2nd Street. Proceed west on 2nd Street and cross railroad tracks, then stop at the T- intersection with Mitchell Road. Turn left (south) on Mitchell Road and continue half a mile. Mt Herman Road will be on the right (west) side of the road. 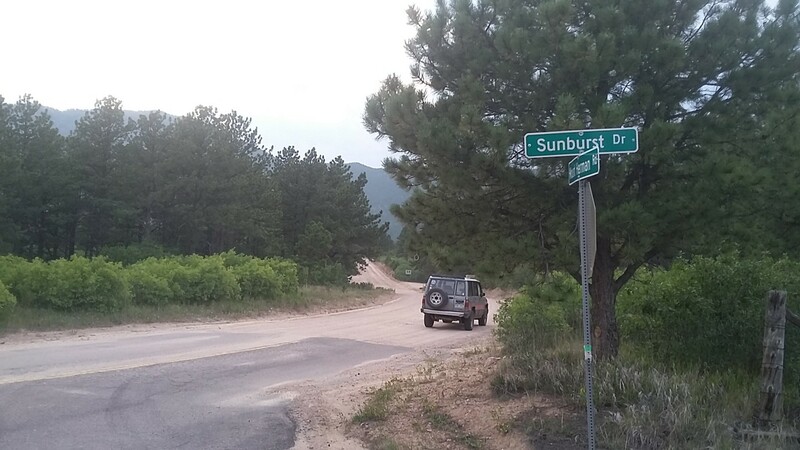 Follow the paved road for approximately two miles, until the pavement ends near Sunburst Drive. 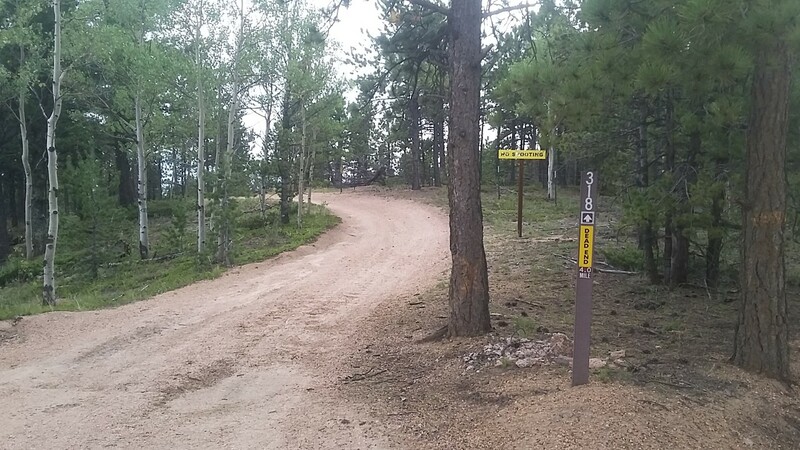 Dispersed camping is permitted along Mount Herman Road, and the several connected roads/trails such as 320A, 320B, 320C, 315 and 318. 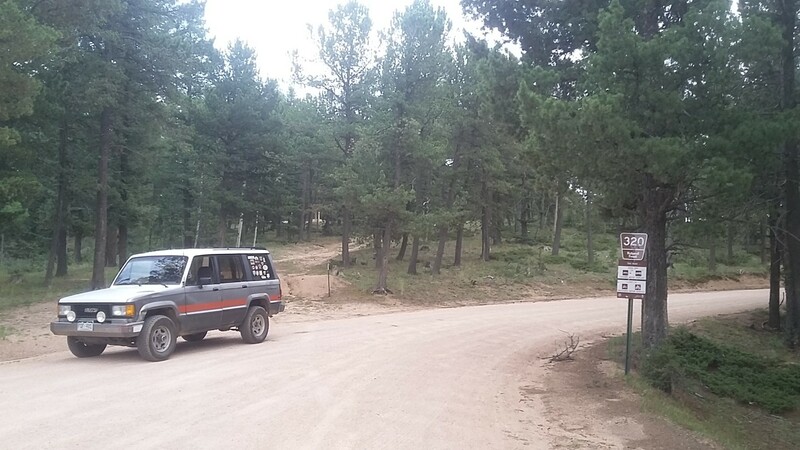 There are also numerous campsites along Rampart Range Road and the many roads which intersect with it The US Forest Service maintains several campgrounds further west on Highway 67, and commercial lodging can be found in Monument and Woodland Park. 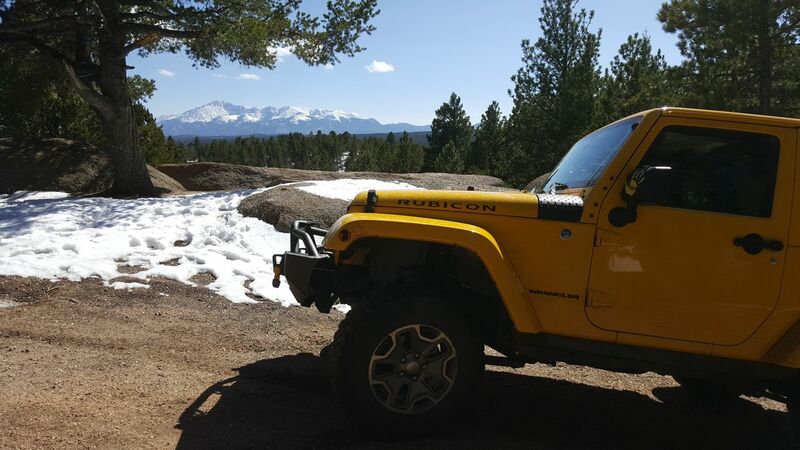 Came up thru Mt Herman road to head North on Rampart and to Ice Cave Road and Rampart was mostly thawed. In the morning Mt Herman Road had quite a bit of ice so the uphill was pretty slow moving. The way back in the afternoon was mostly all thawed out and muddy. Lots of abandoned vehicles unfortunately. Hopefully someone will come snag them soon. 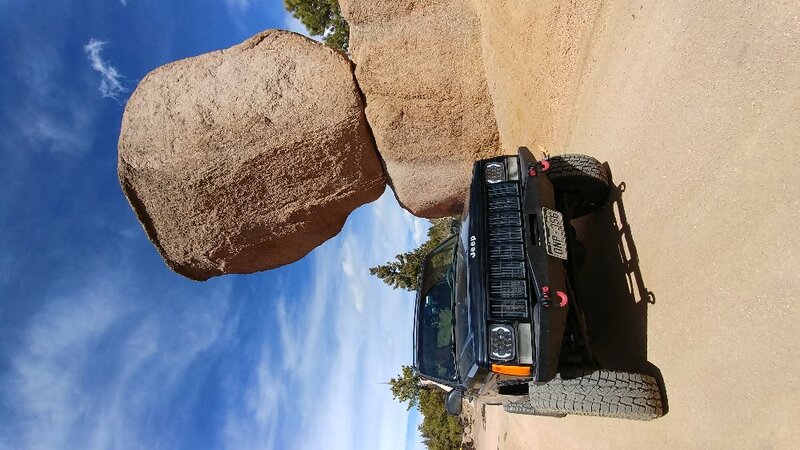 Went up last weekend in search of Balanced Rock. Didn't brave the snow just past the second gate. Went up today after a few warm days this week thinking the snow would have melted a tad. Not sure if that's the case, but the ruts were manageable. Made it to BR. Then it snowed. Was socked the entire way back. Beautiful drive! 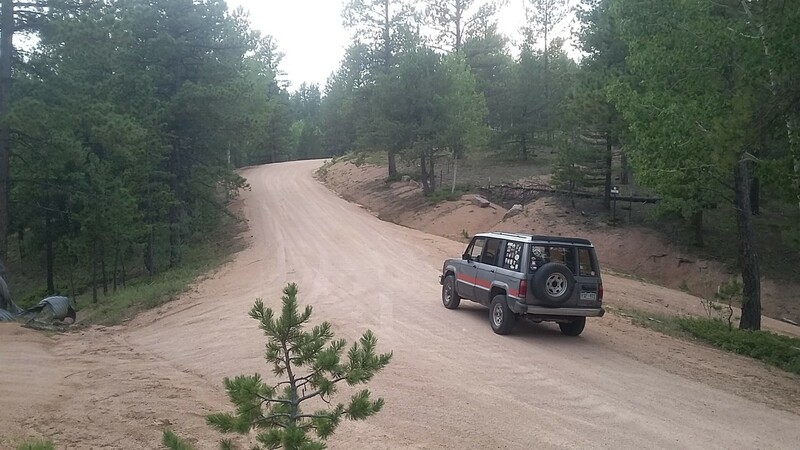 Great time on Mt Herman Rd today. Sunny and 68 degrees. Only took a short trip up to upper gate but it was open. Some snow patches and ruts at the top. Very minimal rutting on the way up. 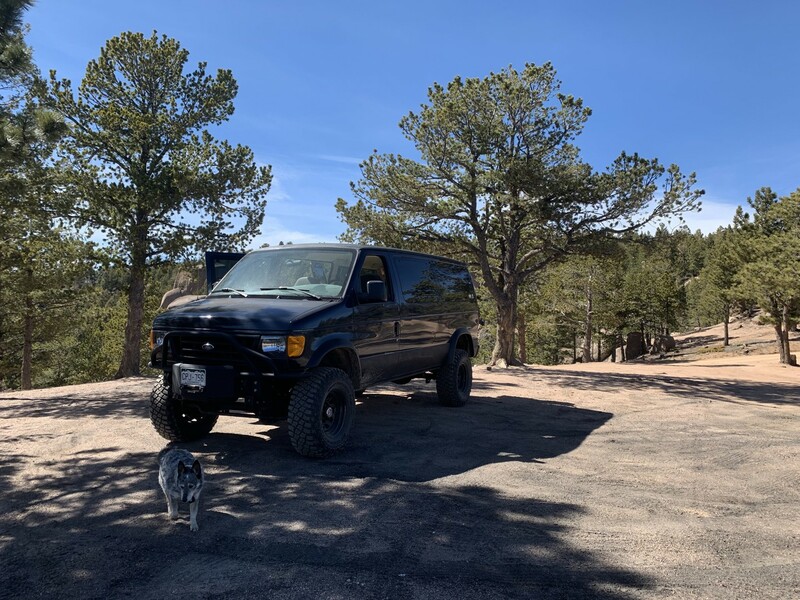 Lots of other vehicles out there. I guess everyone is looking for a trail to hit now that the snows are mostly gone. The road up to the second gate was fine but shortly after that there was too much snow to pass. Several stuck jeeps less than a quarter mile past the second gate. I took my rzr turbo here. Still not fully sure if that was allowed. Trail was open today and we had a great time. In Texas we don't get to see any snow covered trails, and we were able to travel the entire trail today. 51° today with bright blue sky. I would could drive this again lots to see. Forecasting lots of snow over the few days might make it impassable. Trail was just starting to become passable but the spurs off of this trail are still too snow covered. 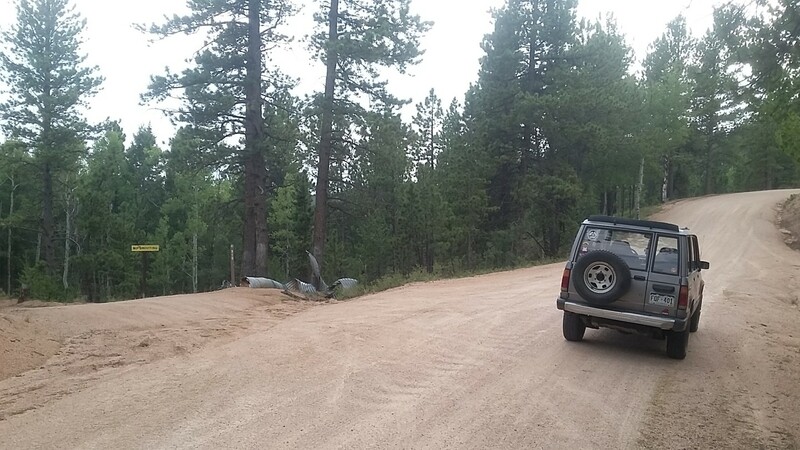 There are at least two abandoned vehicles along the trail that have been there for some time. Mt Herman Road was snow packed today from Monument to Rampart Range Road, with some small bare patches that had grown by afternoon when we came back down. A few miles up from Monument we came across a 11-12" high rock sitting right in the middle of the road. It must have arrived shortly before we did because there were no tire tracks going around it. Had to roll it off to the side. The scenery was gorgeous with a few inches of snow on the ground. 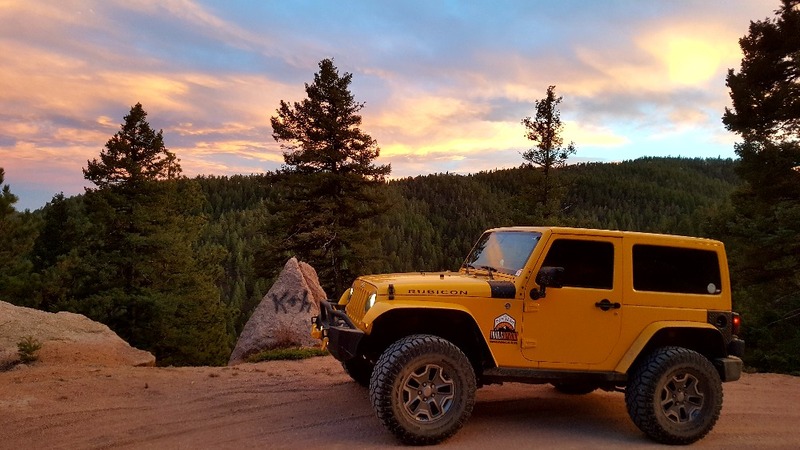 We came off Rampart Range on Mt Herman today as the sun was going down. The show is packed as of today but that can change quickly. Snow starts about a mile in from the trailhead near Monument. 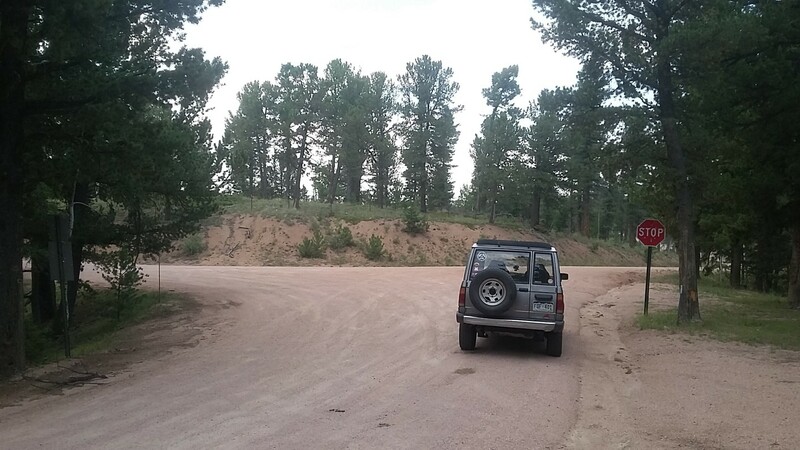 I drove Mount Herman Road on Friday, August 24th, 2018 in order to update the GPS track, photographs, and make a new highlight video. 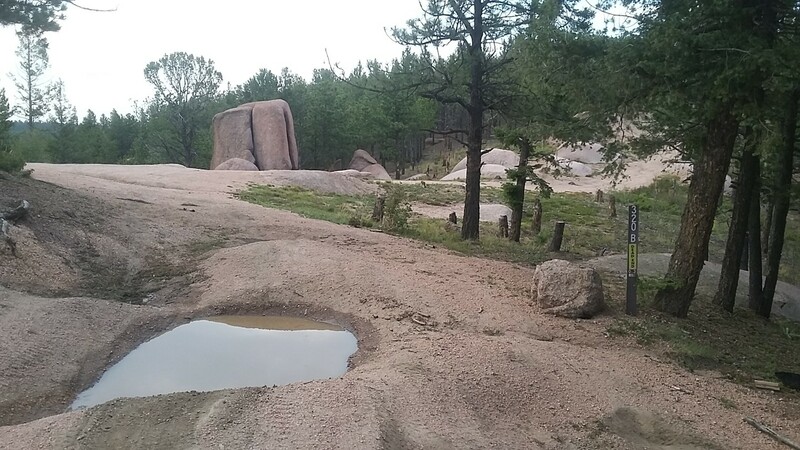 The road is dry and relatively good condition, however, there are significant ruts and one deep washout below (downhill from) Waypoint 3 (upper gate). Super Dry, Maybe a few spots where there was snow tucked up against the North side of a rock or ledge, Otherwise the rod was bone dry. A bit pitted at the top. 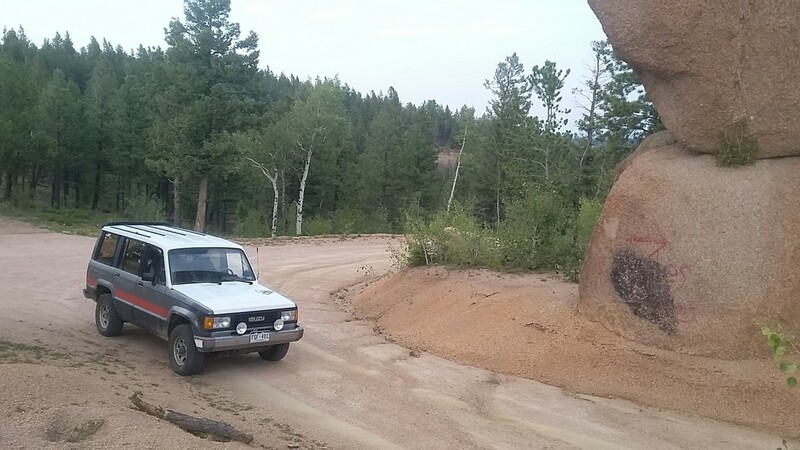 Passable with a 2WD, but some of the rocks poking through where a bit high. Avoid them or have something with a bit more ground clearance. 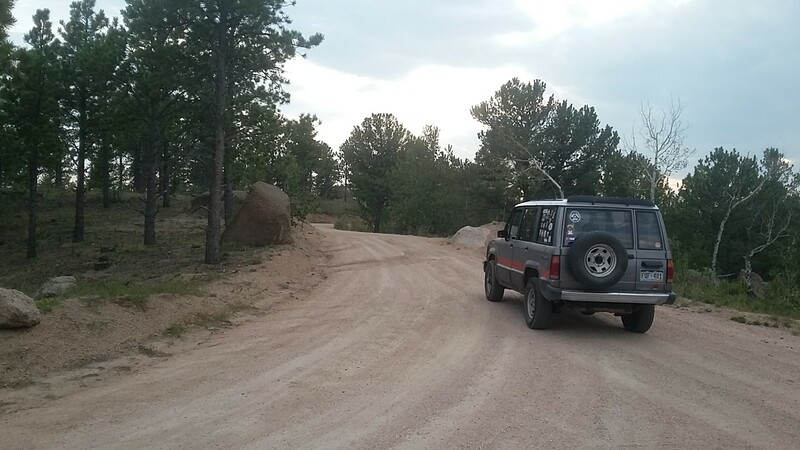 We used this trail to get to another Schubarth trail for a day trip and to sort out a few things on our XJ build. The road was BONE dray today. maybe a few small patches of snow/ice left in the shadowy crevices on the North side of a boulder. Otherwise totally passible and I even saw some brave soles driving it in WD cars. Its a rough road for sure. 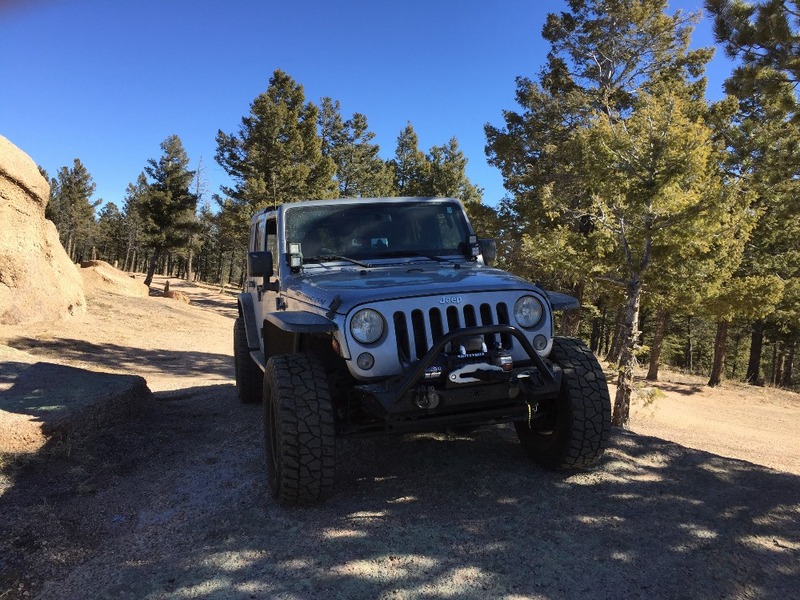 Ran Mount Herman today expecting to do some snow wheeling and the road was almost completely dry. There were a few patches of very minor snow here and there, but nothing that would cause any issues even for a passenger car. The only place there was any substantial snow was on the connecting trail, FR. 315, and only for about a mile of that trail. 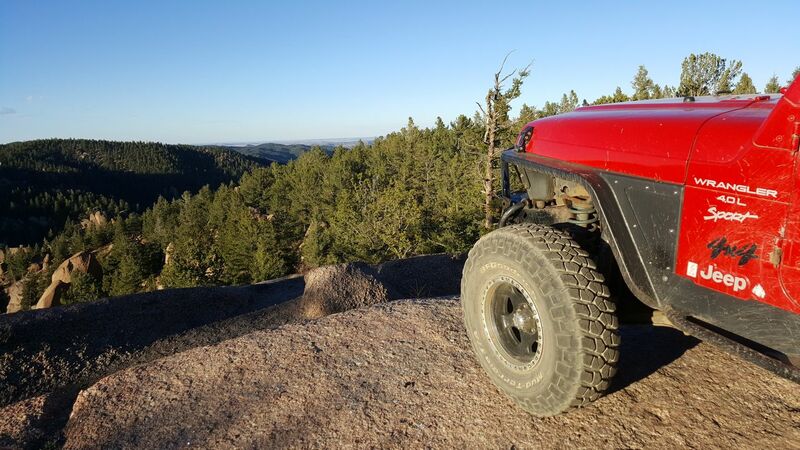 I had fun testing my new Jeep's suspension on the whoop-de-dos on some of the side spurs, but Mount Herman Road itself would easily have been passable by a 2WD car today. 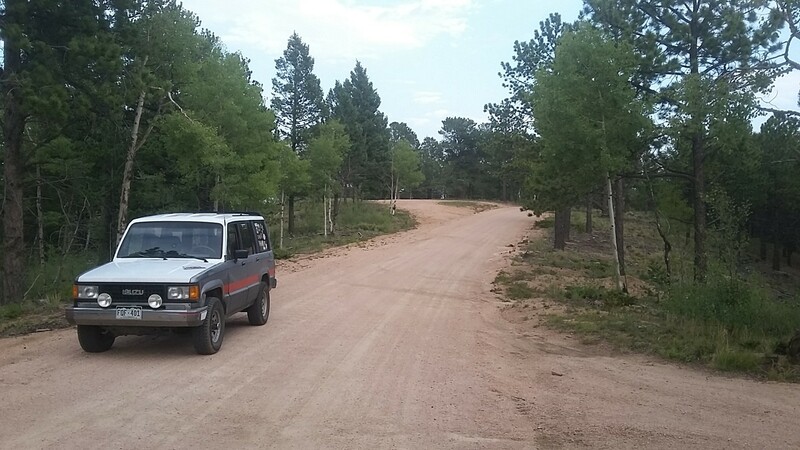 Drove down Mount Herman Road after spending the day on Metberry Gulch with the Colorado Land Cruisers (Colorado Springs). Road conditions are packed snow and ice over 50%. Lesser portions are clear and dry where there is adequate sunlight. 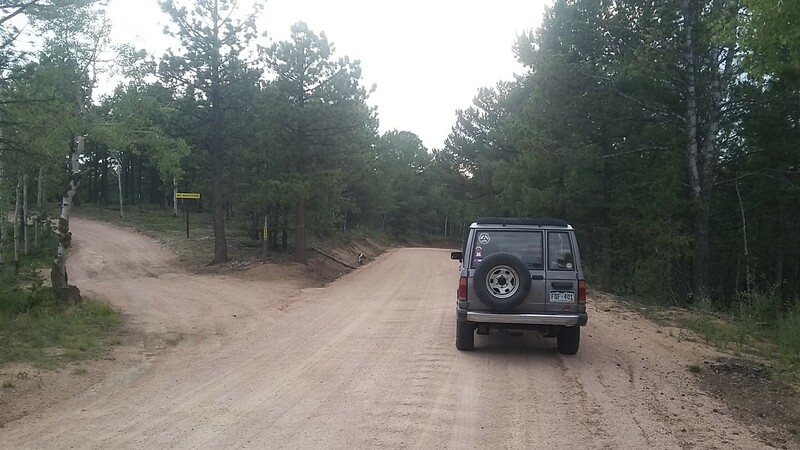 Drove down Mount Herman Road off of Rampart Range Road (FS Road 300) after patrolling roads for the USFS/Pike's Peak Ranger District (Christmas tree cutting event). The upper portion of the road is completely clear and dry. 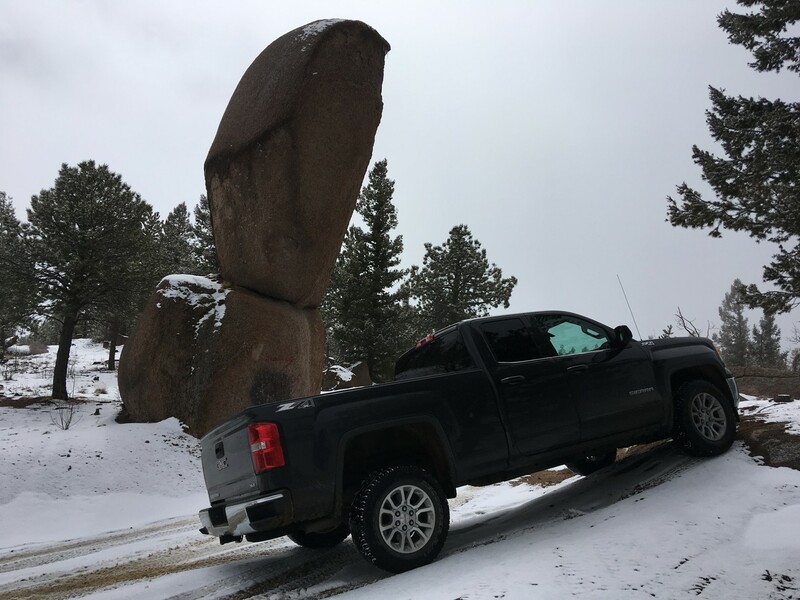 The portion between the balanced rock and the lower FS Gate has a few sections that are packed snow/ice. 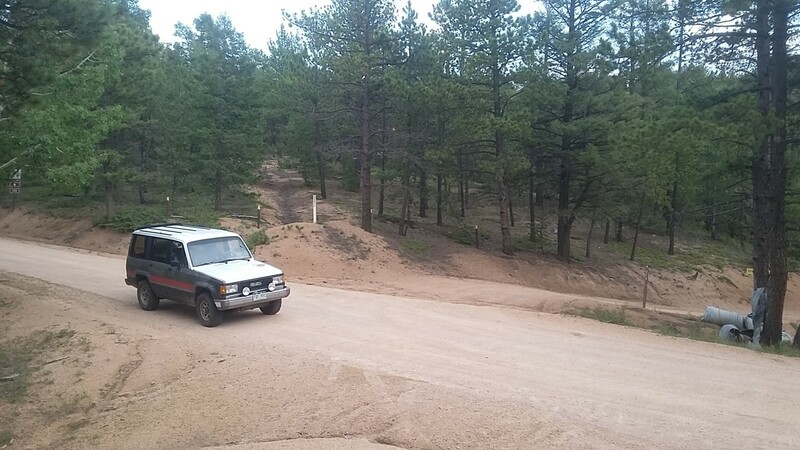 There are also numerous deep ruts (10 to 12 inches), particularly in some of the blind curves--use extra caution going around curves and proceed slowly over these ruts. 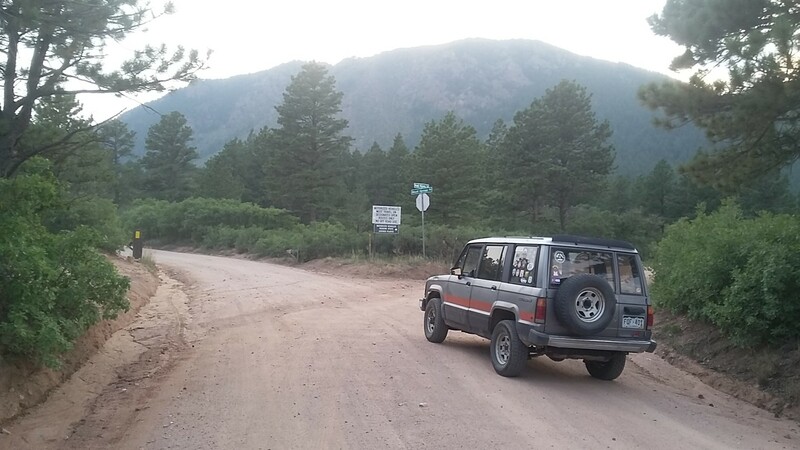 Drove down Mt Herman Road from Rampart Range at sunset. 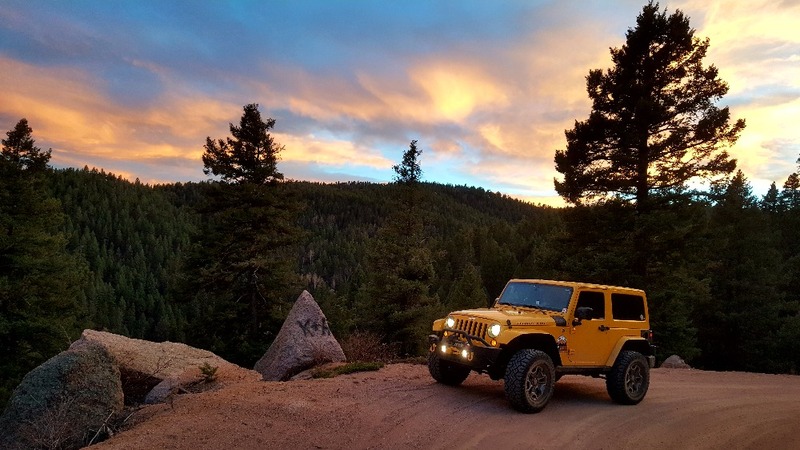 It led to some amazing photo ops and a lovely end to our wheeling evening. Other than the graffiti, there's nothing to note new on the trail. 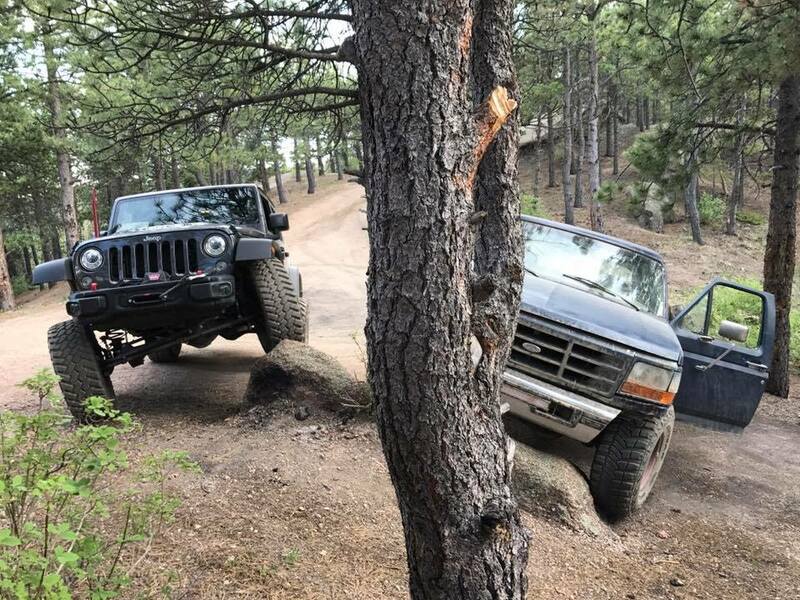 Did the trail with a group over the Labor Day Weekend. The trail itself was in decent condition it is mostly washboard. 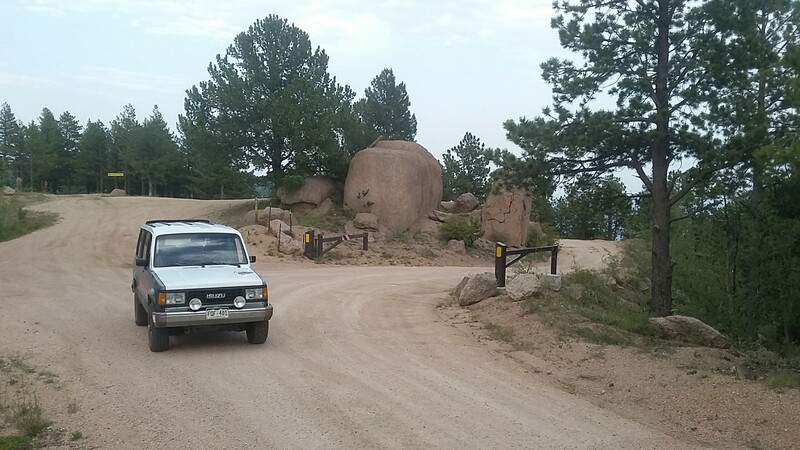 Easy trail can be handled in a stock vehicle if you stay on the main route. Not a lot of traffic until hit Rampart Range Road. 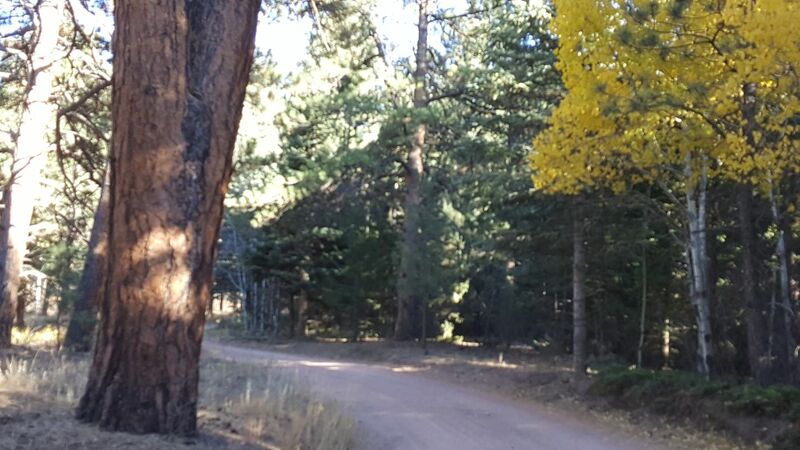 Did encounter several bicyclists along Mt Herman Road. Scenery is spectacular especially the views of Monument. 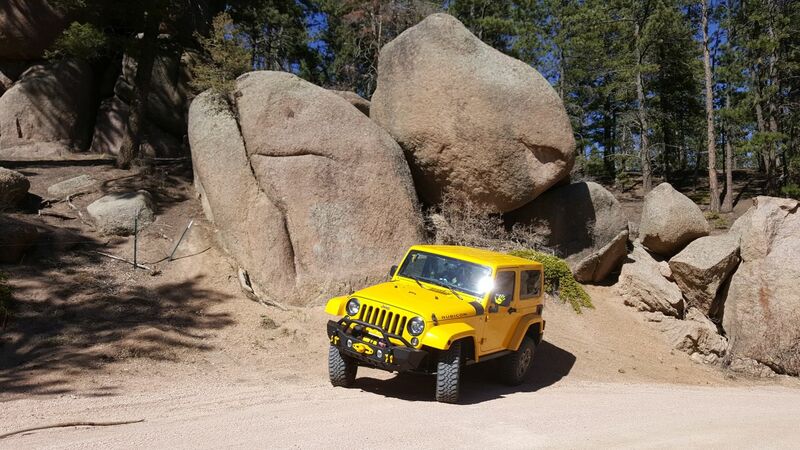 Took a quick drive up Mt Herman Rd to play on the rocks near waypoints 4 and 5. This is my standard route when driving to Woodland Park and the trails to the west. 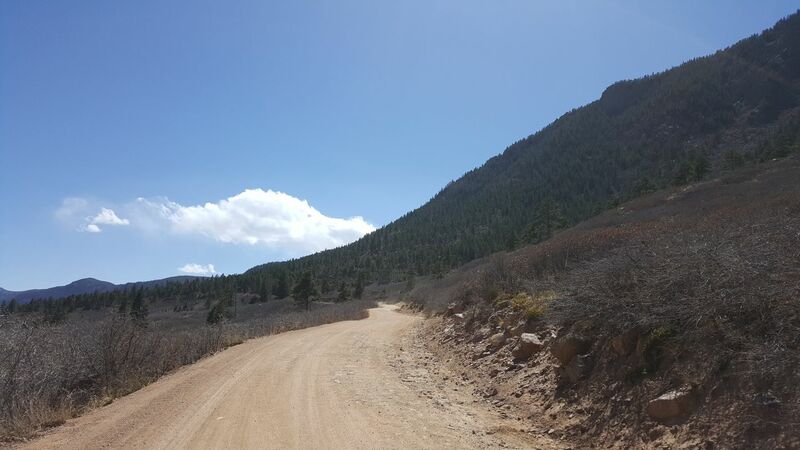 The trail itself offers great views, but it is mostly washboard all the way to Rampart Range Rd. 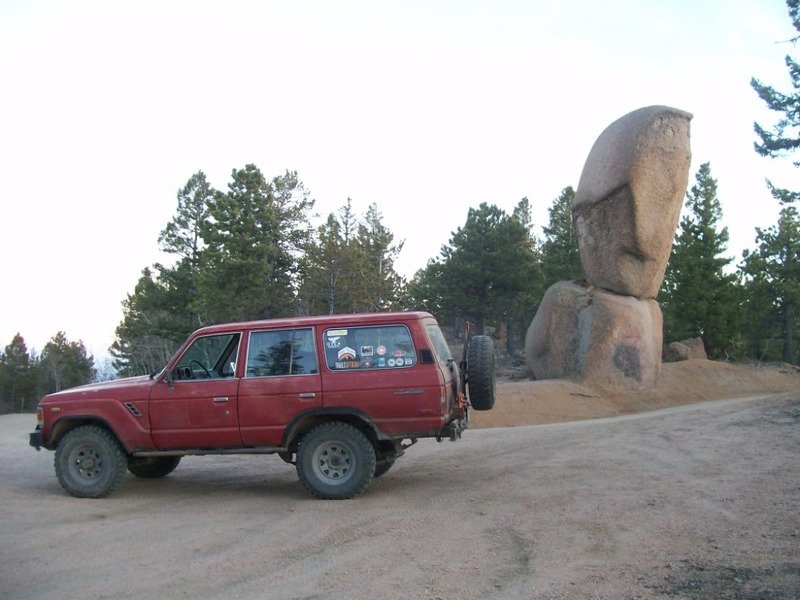 The greatest obstacle is heavy traffic in both directions and cars that park on the road while accessing the hiking trails. Watch for drivers with poor trail discipline/etiquette as this trail is passable in low clearance cars. Nice day on the trail with plenty of traffic. Watch for wildlife, we had a deer and a very young baby pop out on trail. Nice trip up Mount Herman. We actually didn't think it would be open all the way through, but there is very little snow on the trail. The snow that is there is cut all the way and there are just some wet portions of the road. Stockers can get all the way through to Rampart Range. 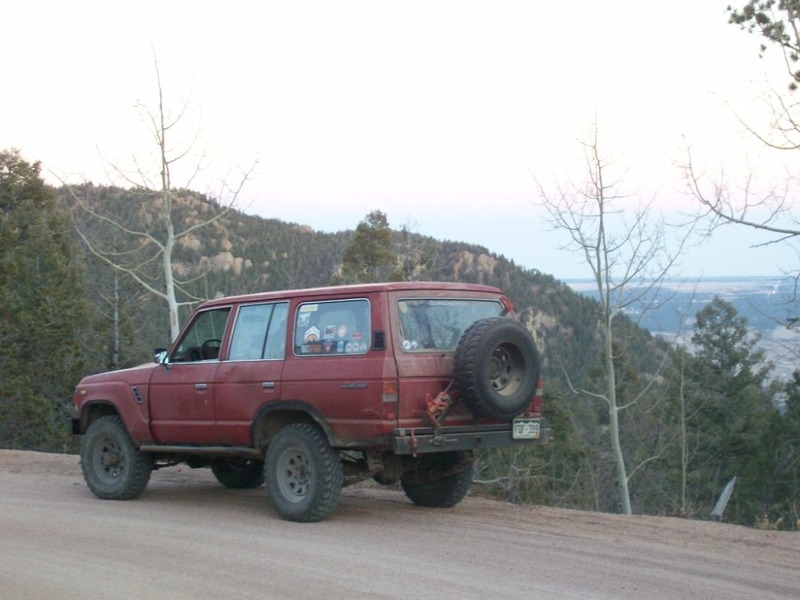 A small group of Toyota's used Mount Herman Road to descend the Rampart Range after a larger group outing to Metberry Gulch on Saturday, February 18th. 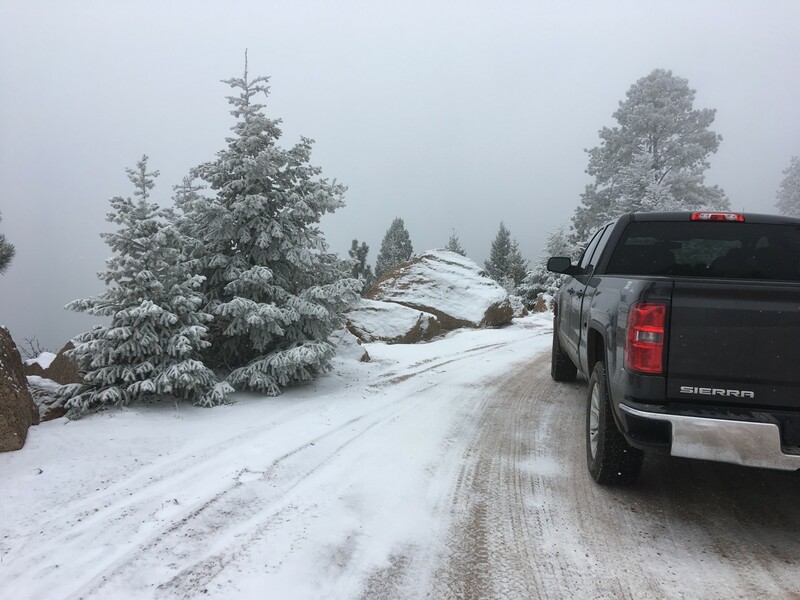 Conditions on Mount Herman Road were packed snow at the top, and gradually drier toward the lower elevations. From the midpoint down to Monument, the road is almost completely dry. Descended Mount Herman Road late in the afternoon on Saturday, November 19, 2016. Much of the snow which came on Thursday had melted, except in places where shaded by trees. 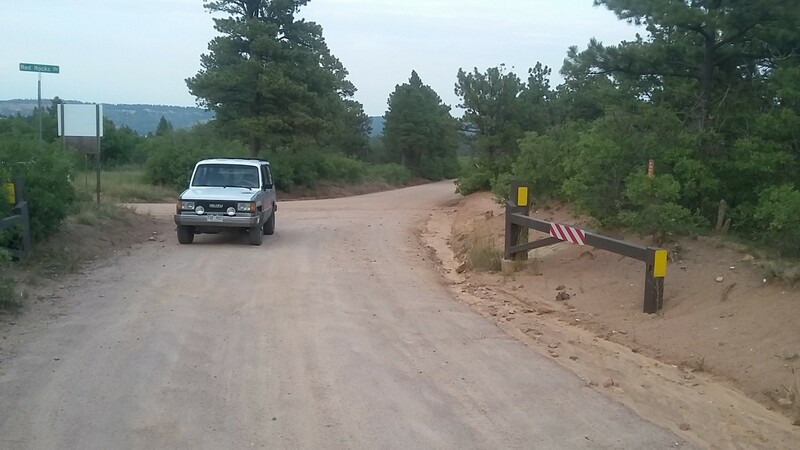 The road conditions were good, the surface was not as severely wash-boarded as Rampart Range Road. Road was rather busy this afternoon with a lot of traffic into the mountains late in the day. Trails is open all the way through with no snow or dampness. 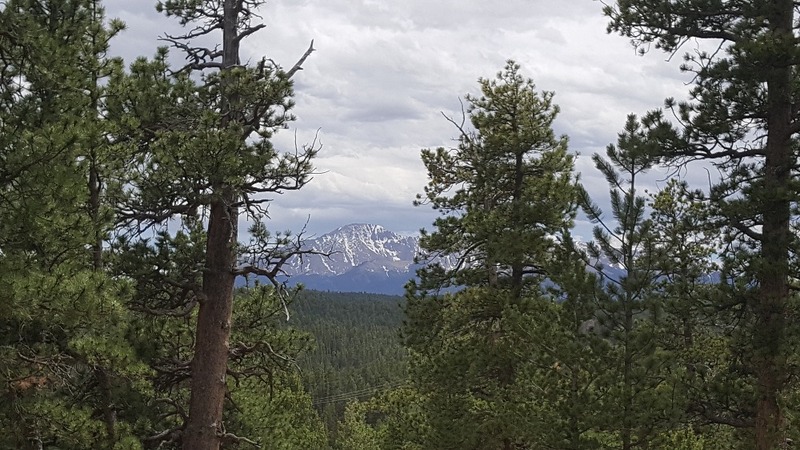 We drove Mt Herman from Rampart Range to come home. 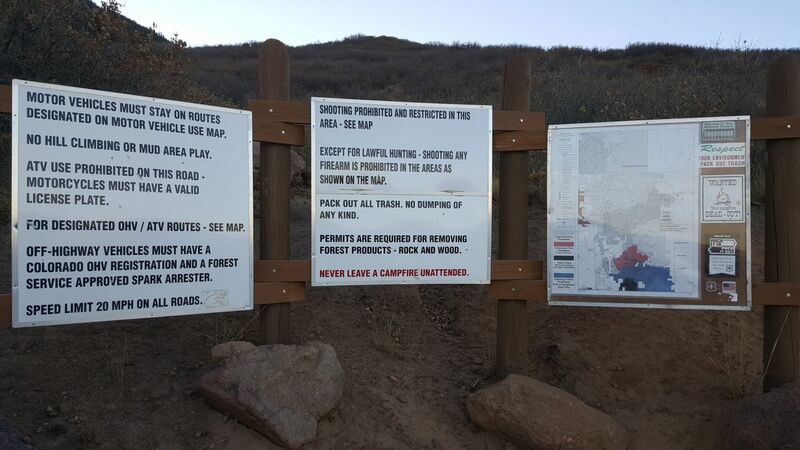 The trail is as reported above and I noticed no changes to the trail from the last time it was ran. We found the tree that we had an unfortunate run in with last fall and had to stop to pick up parts of my old fender still at the bottom of the tree there. Cleaning up after ourselves almost a year later just because we stopped and these pieces had been buried in snow we slid into. 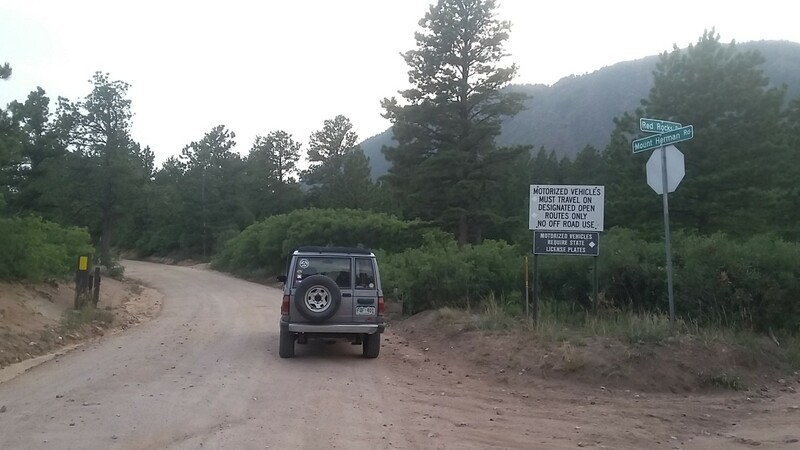 Drove Mount Herman Road on Friday evening to access Rampart Range Road and then west via Hotel Gulch to the Trout Creek area. Started late in the evening after work, so it was approaching dark when we climbed Mount Herman Road. Mostly cloudy conditions with intermittent rain showers, but that didn't distract from the fantastic views over the valley. 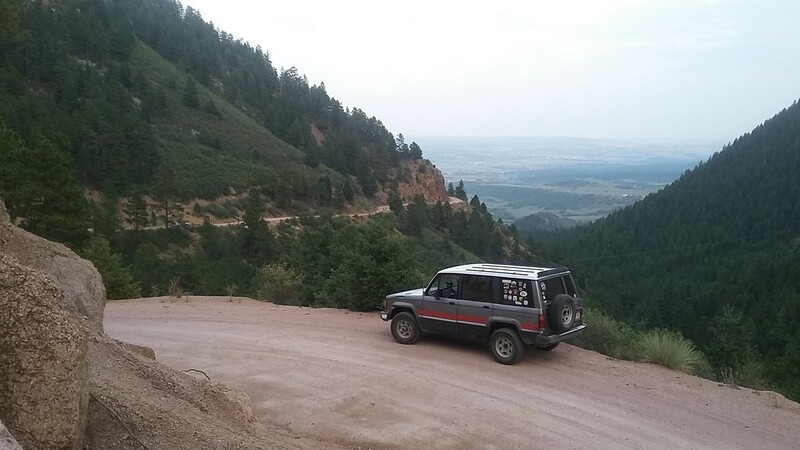 Encountered surprisingly little traffic, maybe six vehicles total on our ascent. 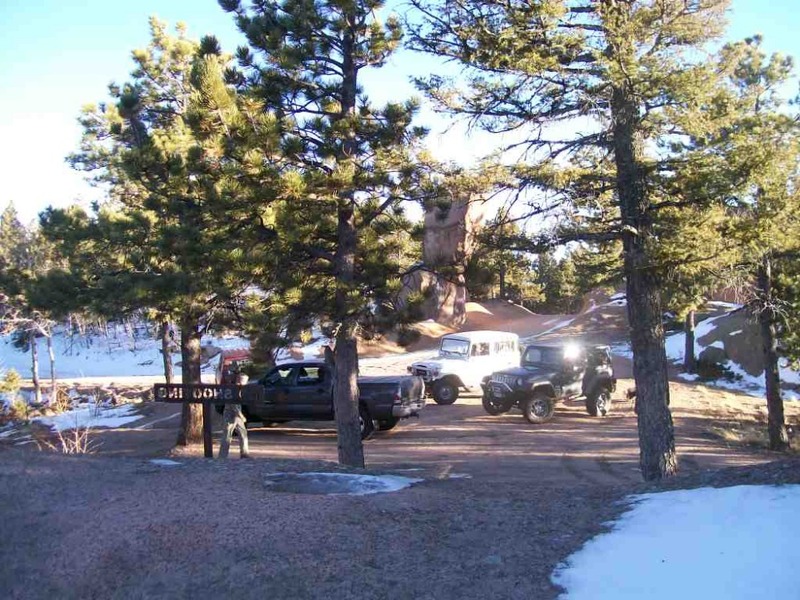 Found numerous campers toward the top; a small group (3 trucks) were setting-up on the knoll above the seasonal gate. 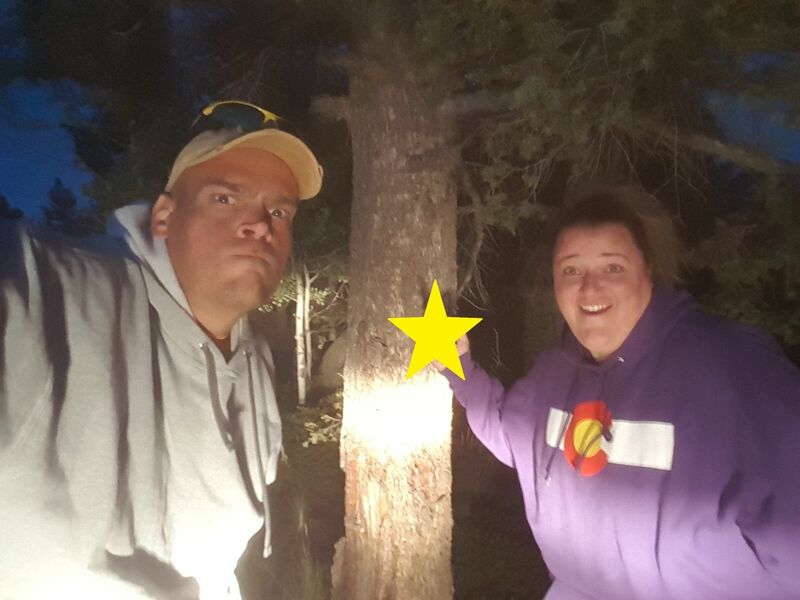 These guys were in a good position to view the Perseids Meteor shower when the clouds finally dispersed.